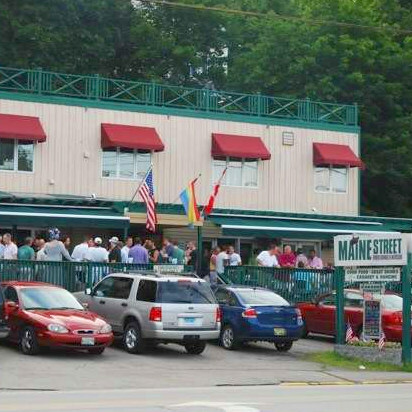 Maine Street is the largest gay nightclub in Northern New England and one of the most popular gay bars in all of New England. Maine Street is the place to dance in all of Ogunquit. Maine Street is large facility with four different rooms. There is a main bar and lounge area as well as a large dance floor room. There is also various drag shows and concerts in the theatre room and lounge. Finally, there is an upstairs lounge and bar. There is also outdoor decks including a deck on the first floor as well as the second floor. Maine Street is the place to be with friendly staff, great drinks, a variety of DJs and great pub food.